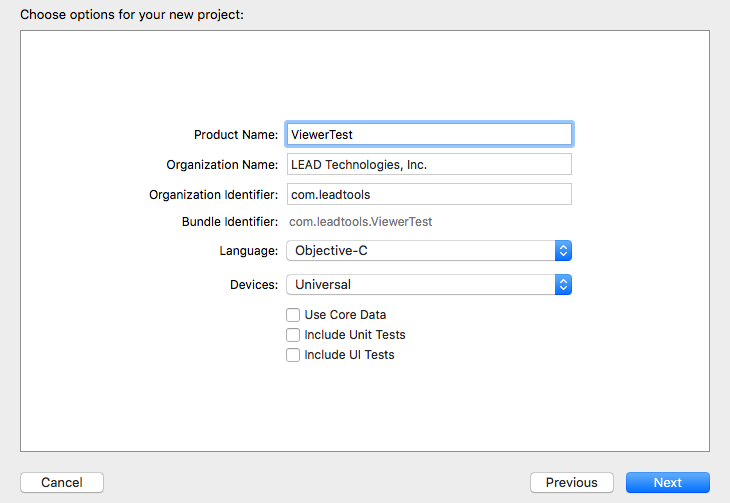 Take the following steps to start working with the LEADTOOLS for iOS/macOS toolkit to create an iOS application demo that can run on an iPhone/iPad simulator or an iOS device. Note: A Mac operating system (macOS 10.10 or later with Xcode 8.0 or later) is required. 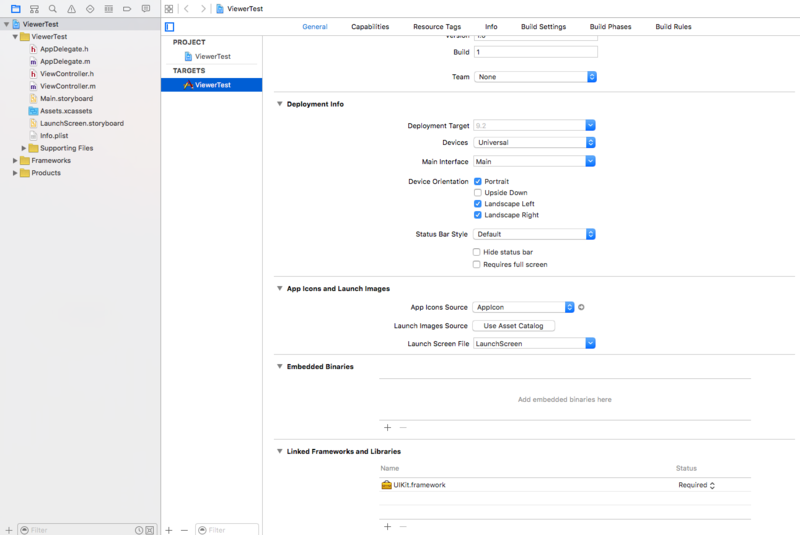 If the Xcode application is not available on the task bar, start Xcode by selecting Launchpad from the task bar. 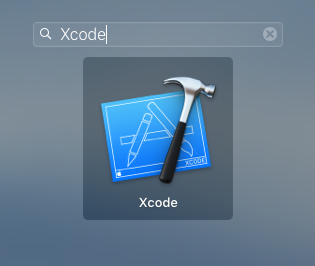 Then type "Xcode" into the search bar and click the "Xcode" icon. 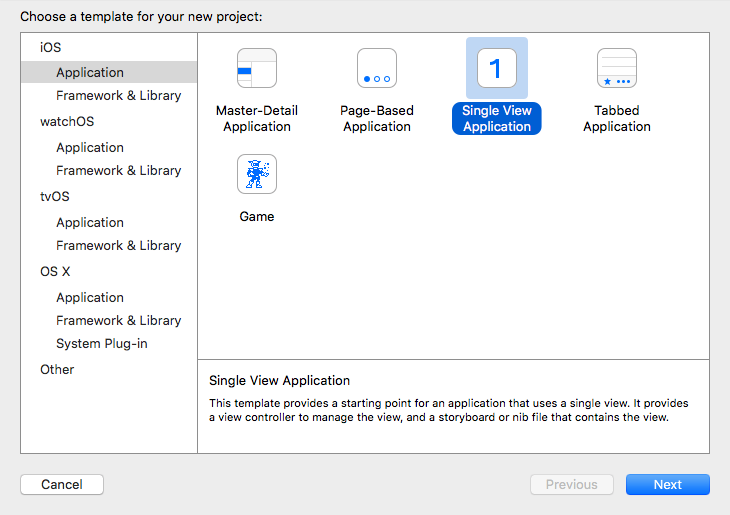 In the Xcode startup dialog, click the Create a new Xcode project button. 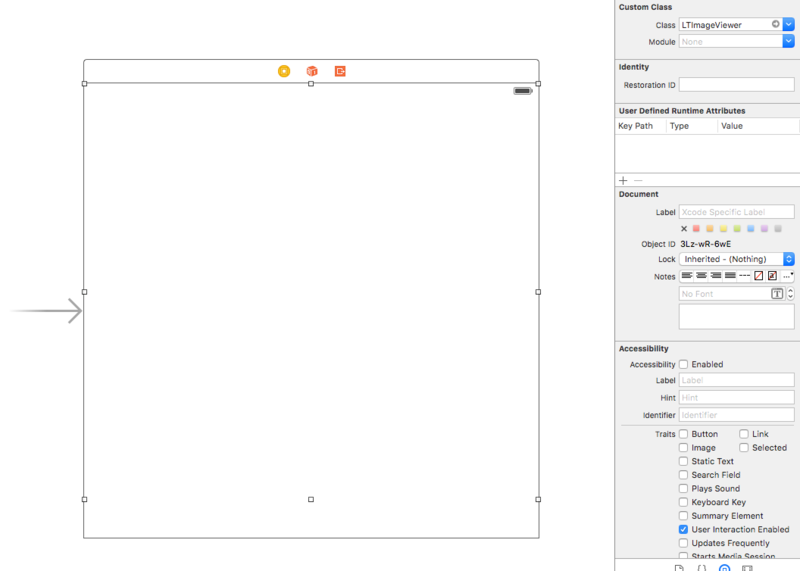 Clicking the button opens the Choose a template for your new project dialog box. Use it to specify the type of project to be created. 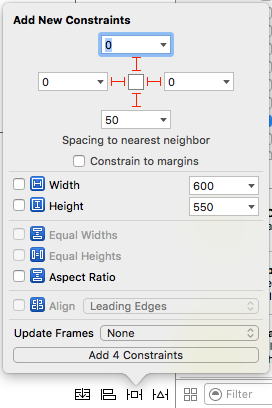 Under the iOS templates select Application, then select Single View Application, then click Next. The Choose options for your new project dialog box will appear in order to specify the project name and options. 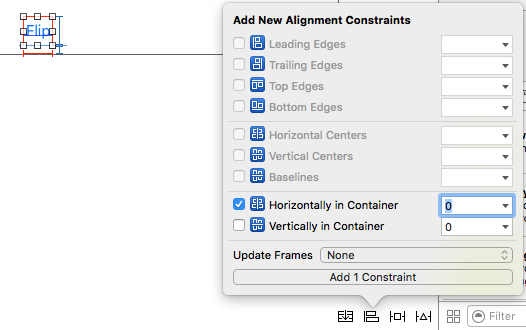 Select Objective-C for the language, make your selections, and then click Next. A dialog box will appear in order to specify the location where the project will be saved. Select the location, then click Finish. Add the necessary LEADTOOLS frameworks into the project. To start, select the project file in the project navigator pane to open up the project settings. Under the General tab, scroll down to the bottom and click the + button under the Linked Frameworks and Libraries section. If you already had a group in your project entitled Frameworks, all of these new frameworks will have been added to this group. If you did not already have this group, create it by highlighting all of the frameworks you just added, right-clicking (or Control + Click) the selected frameworks, and selecting the New Group from Selection menu option. You can then title the group Frameworks. After this, any frameworks you add to your application will be automatically added to this group. Next, add the LEADTOOLS license and key file that was installed with the SDK to the project. To do this, highlight the Supporting Files group and select File -> Add Files to menu item (or use the Option + Command + A hotkey). The license and key files were installed in the Examples/Resources/License subdirectory of the LEADTOOLS toolkit installation. Other Linker Flags = "-lstdc++ -ObjC"
Framework Search Paths = "<Path to your iOS frameworks>"
Prefix Header = "<Path to your Prefix.pch file>"
Build the project from Project -> Build or Command + B. 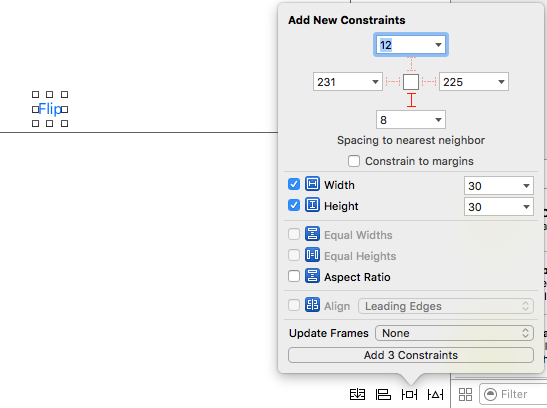 In doing so, Xcode pre-compiles and caches all of the header files from the included LEADTOOLS frameworks. 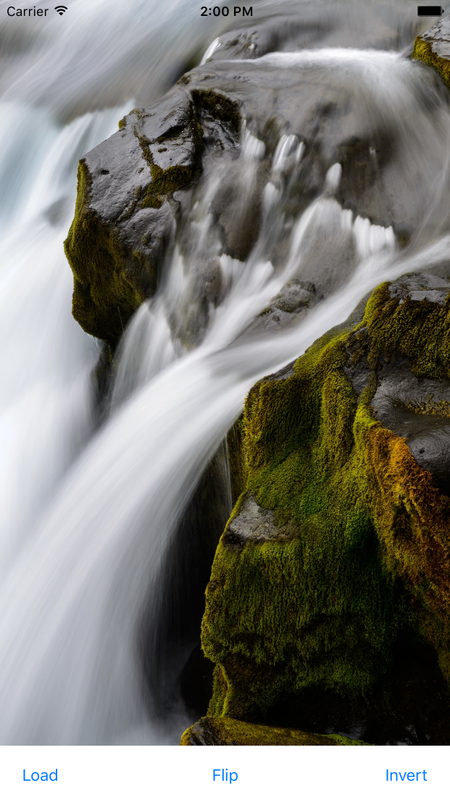 This pre-compiled header file is implicitly included by all other source files in your project. 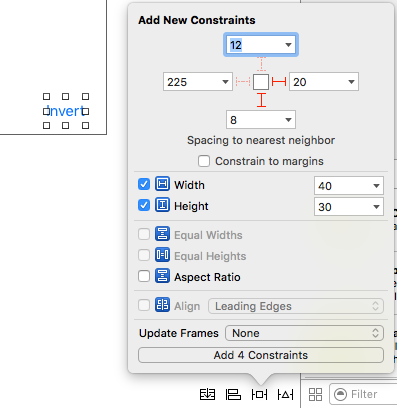 These are all of the constraints needed to have the viewer resize itself according to the device's screen size/resolution. Add references of these objects to the ViewController class as well as hook-up action methods for the buttons. To do this, first open the Assistant Editor (View -> Assistant Editor -> Show Assistant Editor). 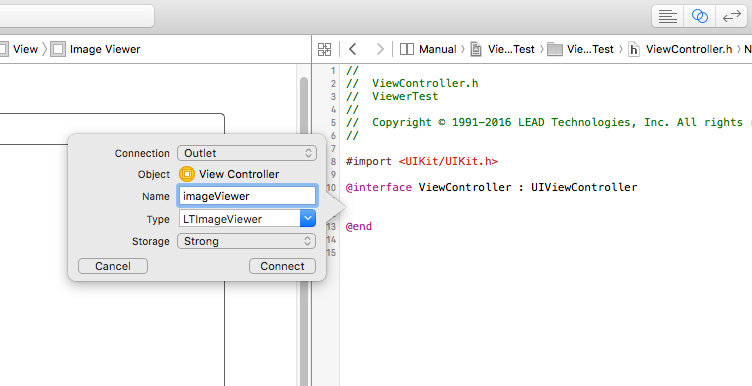 Once the Assistant Editor is open, select the ViewController.h file from the top of the Assistant Editor Pane.